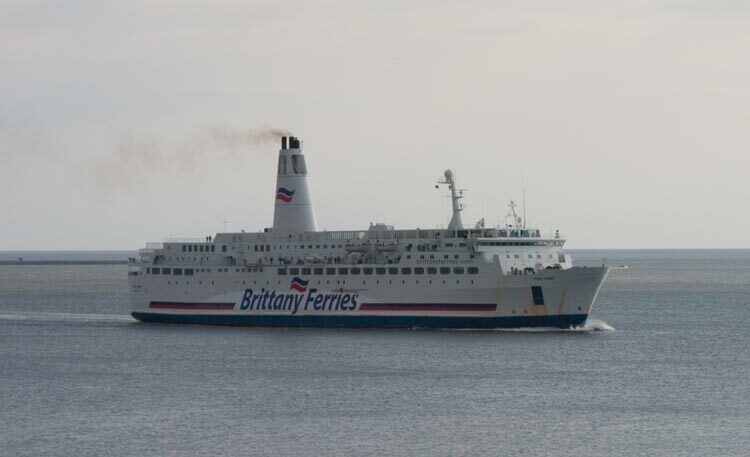 This page is about the Brittany Ferries vessels that I have travelled on or have seen entering and leaving port. 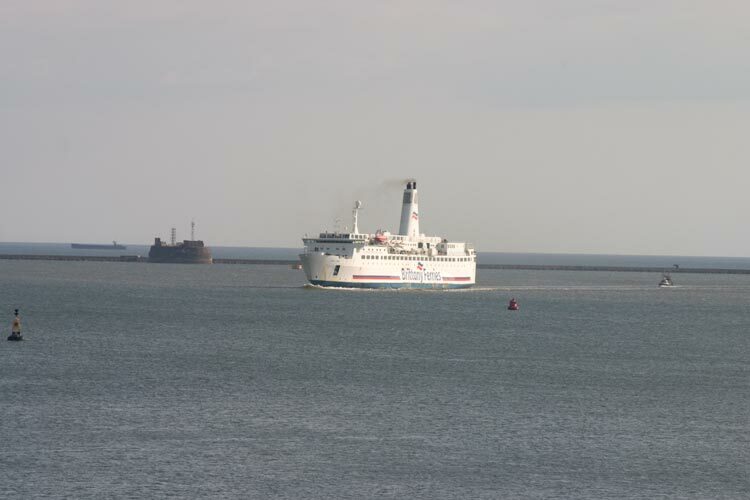 I have used Brittany Ferries routes from Poole to Cherbourg and Portsmouth to Caen several times, they are both good crossings on good ferries - and they lead to Normandy which is an area that I really like visiting. Many of the photos linked to this page were provided by a French friend Stéphanie Dinez. I've concentrated on those I've crossed the channel on, but there are a few that I haven't used. The links to various places that are included in this article are to articles on my other site, they will open in a new window, the links to the ferries are to pages on this site with a back button to return to this page. 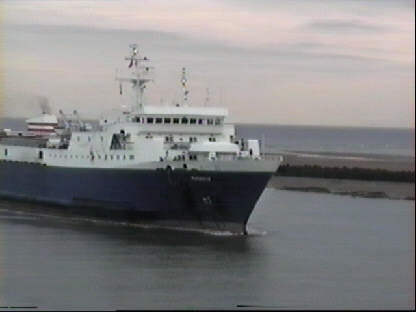 My first cross Channel crossing was back in 1970, but it wasn't until 1993 that I went over again, crossing from Poole to Cherbourg on Brittany Ferries Barfleur - though at that time she was in Truckline livery and was marketed as "The insiders way to France". Nowadays she is in Brittany Ferries colours. route that I use is from Portsmouth to Caen, at present it is served by the Normandie, built like the Barfleur in 1992, and by the new build Mont St. Michel, I've included both the current vessels on the one page - Normandie. 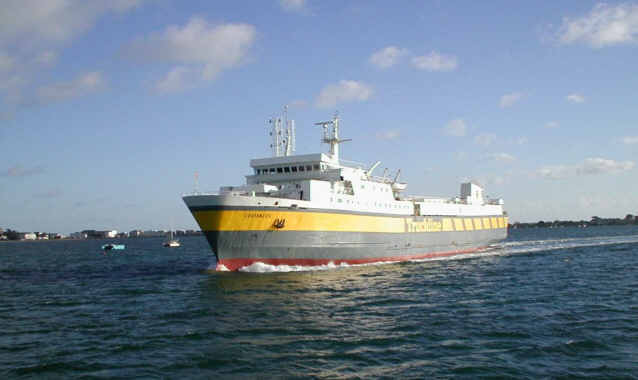 The Duc de Normandie, a somewhat older vessel was replaced in July 2002, I've crossed on her so she is still featured here. 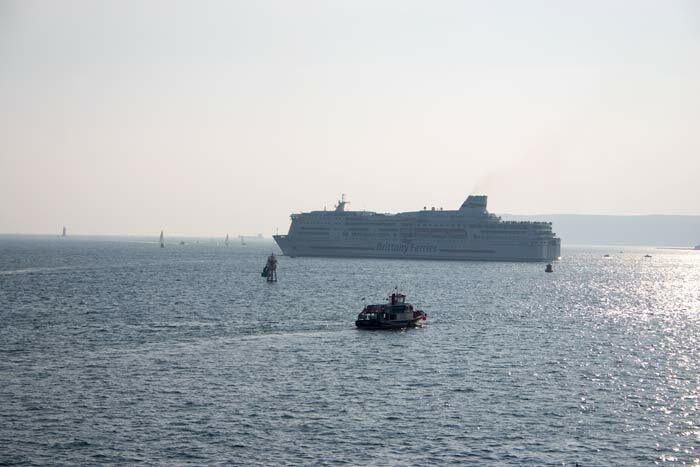 To conclude this page, a shot of the Coutances which operates freight only sailings between Poole and Cherbourg, she is seen here in Poole Harbour taken from Blue Line Cruises MV Solent Scene. 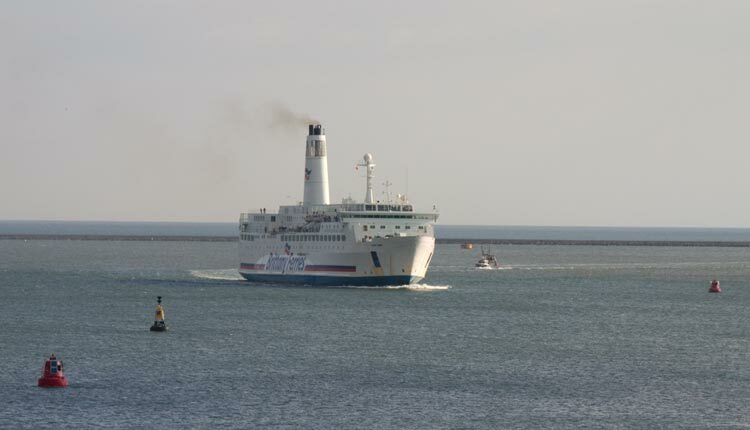 The Purbeck, was once the Coutances' sister in Brittany Ferries Truckline fleet, she is seen here on charter back to BF arriving at Ouistreham from Portsmouth. She is a freight only ferry and was being used to make up for the Duc's rather limited freight capacity during the summer season. 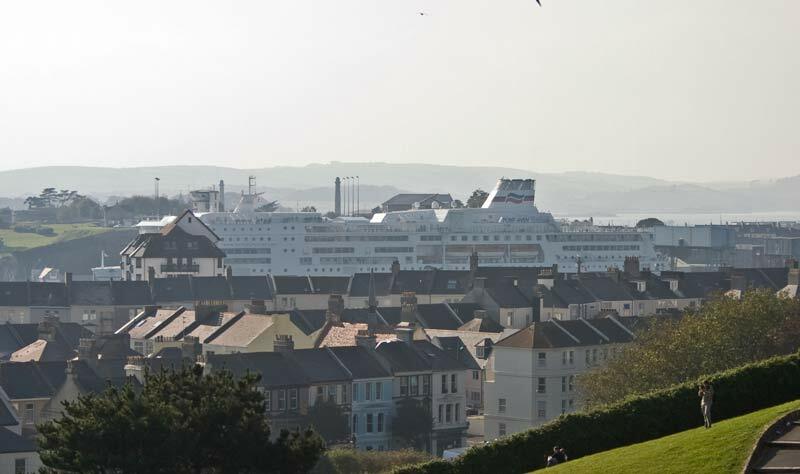 Two of the Pont Aven in port and then leaving Plymouth, I don't know whether for Roscoff or Santander. We must try out the crossing to Roscoff soon, Brittany is a lovely area to visit. 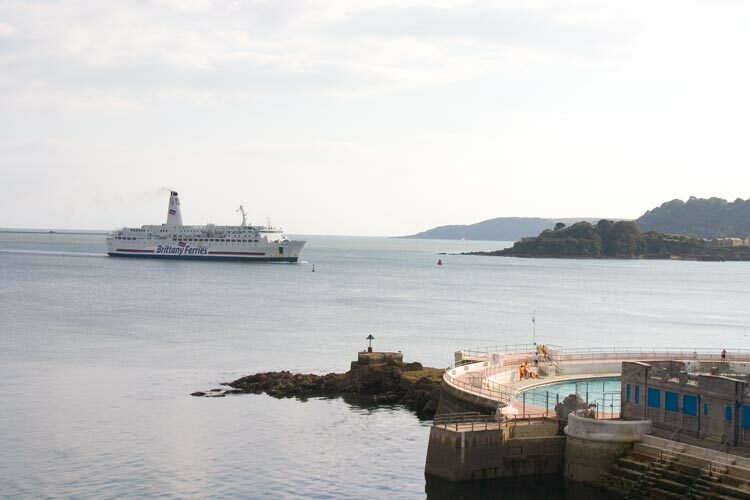 The Pont Aven's predecessor was the Pont l'Abbe seen here coming in through Plymouth Sound. 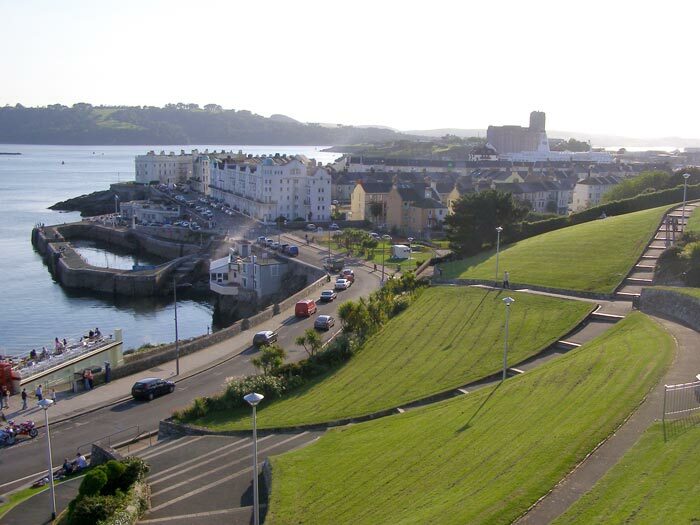 The Pont l'Abbe passing Drakes Island and then, viewed over the houses, in Millbay Docks.